Jose Mourinho is ready to kick-start his overhaul of the Manchester United squad with a £54m swoop for Atletico Madrid midfielder Saul Niguez, according to the Daily Mail. Mourinho is on the verge of being unveiled as Louis van Gaal’s replacement after the Dutchman was sacked on Monday with Sky Sports reporting that the deal should be signed by the end of this week. The former Chelsea boss is expected to be busy in the transfer market this summer putting his own stamp on the United squad after watching the current crop limp to a disappointing fifth-placed finish in the Premier League. It appears the Portuguese coach has already identified some of his prime targets as the Daily Mail claim that Mourinho has instructed United chiefs to launch a move for Atletico Madrid midfielder Saul Niguez. The 21-year-old has enjoyed a superb season at Atletico and shot to prominence after scoring a stunning solo goal during their Champions League semi final victory over Bayern Munich earlier this month. Understandably, Atletico are desperate to keep hold of the talented youngster and recently tied him down to a new five-year contract which saw his release clause increase from £34m to £54m. However, the Mail claim that this hasn’t put off United as they are seemingly willing to match that figure so it will be down to Niguez to decide whether to make the move to Old Trafford or remain with Altetico. The La Liga giants should be confident of keeping hold of the midfielder after Diego Simeone put a huge amount of faith in him but a possible trump card for United is that Niguez’s image rights are part owned by Quality Football Ireland – a firm part owned by Mourinho’s agent Jorge Mendes. 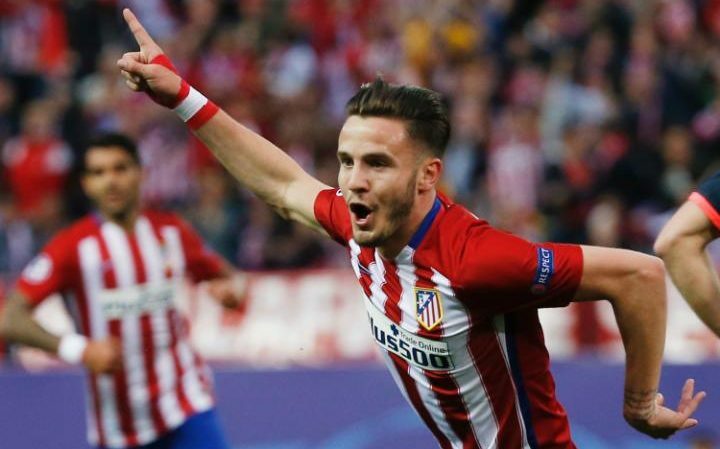 The super-agent could therefore play a key role in trying to persuade Niguez to join United this summer, once Mourinho is confirmed as the new man in charge at Old Trafford. Niguez is predominantly a central midfielder so he’d be considered as a long-term replacement for Michael Carrick – who’s out of contract next month – but he’s also capable of playing out wide so he’d give United plenty of options. We’ll have to wait and see how this all develops but any potential deal is likely to take some time as Niguez has been named in Vicente del Bosuqe’s 23-man squad for this summers European Championships.